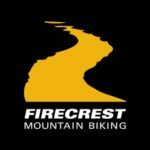 Booking a Mountain Bike Skills Course or finding out more about Firecrest Mountain Biking and the Mountain Bike Skills Courses we offer couldn’t be easier. For Mountain Bike Skills Course Bookings please contact Ian on the Telephone Number or E-mail below outlining which of our Mountain Bike Skills Courses you’ve chosen, your preferred date if you have one. (don’t worry if you don’t we can come back to you with our availability) and we’ll be in touch to take care of your Course Booking with us. If you have any questions or would like any additional information on the Mountain Bike Skills Courses we offer please get in touch. We look forward to hearing from you.